White Strawberries from G13 Labs is a feminized cannabis seed that has its origins in a privileged genetics; a Strawberry Cough and a The White that at the same time are crossed with the select Casey Jones. 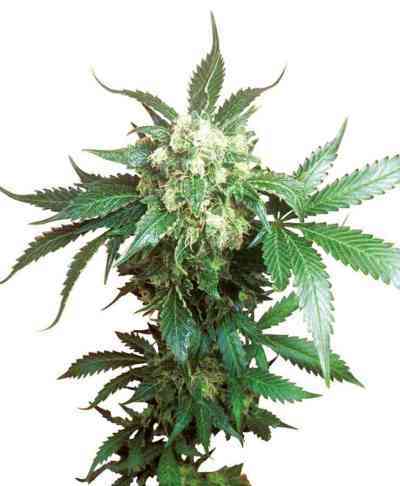 It is a cannabis hybrid characterized by having abundant yields of thick resinous buds with strawberries flavor. White Strawberries develops two main phenotypes; one of both is a plant that stretches high until flowering period comes and the other phenotype does not stretch that much. Both variants flower in a period of 8/9 weeks giving as a result high yields of thick as rocks resinous buds covered in trichomes. The aroma and the flavor of White Strawberries are undoubtedly of strawberries even other nuances such as earthy or diesel notes highlight as well. Its effect is strong, vigorous, cheerful and physic, nevertheless, the other phenotype, more Indica, usually produces more relaxing sensations that invite you to introspection and calmness.